Every day I add to my pile of books that are falling to bits. 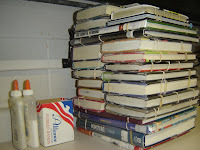 The pile above is just about a week's worth of repair, which was done by my fabulous volunteer Linda. In addition to glue, I usually have a couple of books that have to have the covers taped back on, missing pages copied and inserted, etc. Not a coincidence that these are all Accelerated Reader titles, unfortunately. What fell apart in YOUR library today? Books that come into contact with apple juice, Axe cologne or other substances that force them to be placed into a plastic bag don't need to be mentioned; that doesn't show popularity, just carelessness! 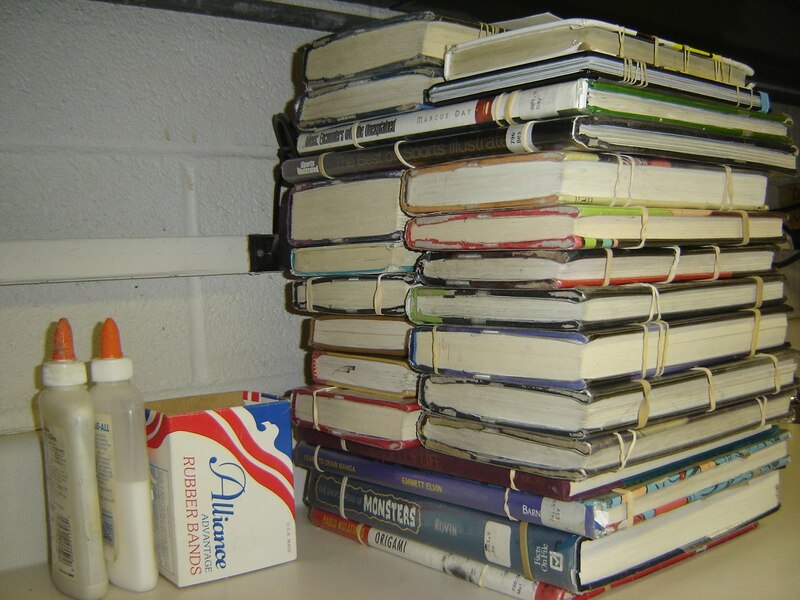 Also, what was the most traumatic thing that ever happened to a library book? I had one that was run over by a lawn mower. What was it doing on the lawn, and how do you miss Bollywood Babes, with its white cover? Shulman, Polly. The Grimm Legacy. Elizabeth is having trouble making friends at her new school and misses hanging out with her father, who has remarried a woman with two daughters of her own. Her teacher suggests that she apply for a job at the New York Circulating Materials Repository, where he worked as a teen, and after an odd interview that involves her sorting buttons, she is hired. The repository has a varied collection-- fondue pots, old clothing, a few books, and a collection of magical items that are found in the stories by the Brothers Grimm! She learns many of the secrets of the collection from fellow pages Mark, Aaron and Anjali, and finds out that the job has some dangers-- a giant bird seems to be stalking Anjali, and items are being stolen from the collection. After being asked to pull suspect items, Anjali runs a spreadsheet of borrowers, and finds a pattern that leads to Benign Designs and a creepy guy that frequents the repository. 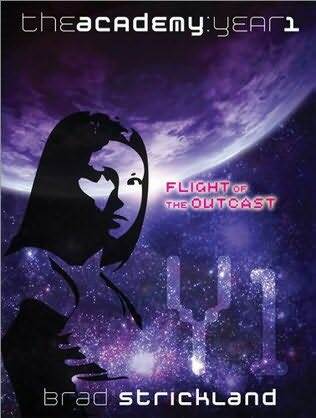 She goes off by herself and runs into trouble and must be saved by the others, especially Mark. Strengths: Very, very nice. Librarians everywhere will be beyond pleased. An atmospheric book; Shulman describes New York City and the Repository in palpable detail. Her descriptions of the smell of magic are brilliant. Nice romance. (page 323: "Then he kissed me. He tasted of chocolate and ginger and apples. Spring air, books. New grass. Magic." *Sigh. *) The characters work nicely together, there's a good sense of suspense and suspicion, and the inclusion of Grimm stories adds a lot to the plot. Weaknesses: I was a little disappointed about the source of the thefts. It seemed a bit anticlimatic, and just was not what I was suspecting. Just not evil enough. The Mirror has run off with Daphne and Susanne's toddler brother, so along with Puck they chase him into the Book of Everafter and immediately begin to wreak havoc by not following the story. This brings them to the attention of the Editor, who is in charge of making sure the stories stay the same. They blast their way through The Wizard of Oz, Jack in the Beanstalk, Alice in Wonderland and several others before hunting the Mirror down in the story of Snow White. Along the way, their grandmother and parents show up to help, and while they are successful in keeping Mirror from taking over their brother's body, things do not end in a particularly pleasant manner. It sounds like there may be one more book in the series. Strengths: This was fast-paced and easy to follow, and there was some character development occurring. That is often a problem when there are this many books in a series. Weaknesses: Horrible binding. Grrr. Also, I disliked Puck. Sure, he's a bad boy, but he's not charming in the least. Nominated for the Cybils by Gina R.
Fresh from hunting basilisks, Nathaniel and his Aunt Phil come back to England only to find that her house has been ransacked, as has Nathaniel's. Not only that, but they get an urgent message that there are problems with the wyverns in Wales that require their attention. There has long been a truce with the wyverns-- in exchange for food, they do not terrorize the farmers, but they suspect an intruder and want Aunt Phil to take care of the matter. The intruder turns out to be the same gentleman with whom they had a problem in Egypt-- Obediah. Although he escapes again, they manage to save a baby dragon and make an older dragon happy, so it's a successful venture. More to come. 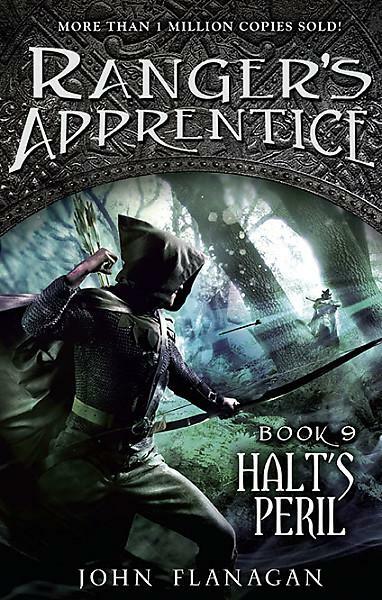 Strengths: Uncomplicated fantasy adventure for younger readers, with action nicely balanced with Nathaniel's adjustement to being without his parents. Good description of mythical creatures. Weaknesses: Obediah lacks something as a villain. He's too gentle and doesn't cause quite enough harm. During World War II in Russia, Tania wants to be a nurse. 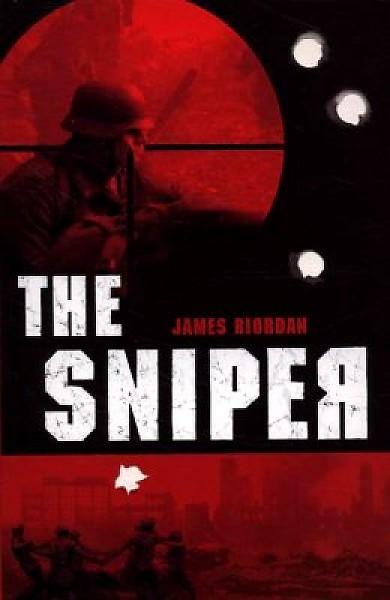 Her mother and young brothers have disappeared, but her father is working with the secret police and allows Tania to train to be a sniper because she seems to be good at it and the Russians need everyone to help. Tania has been raised to think that all people are the same, and that the world is good, but when she sees the devastation caused by the Germans, she feels that it is a matter of "kill or be killed". She is sent with some prisoners to "toughen up" because she is not the cold-hearted killer that some of the snipers are, and ends up seeing her younger brother, who was working as a shoeshine boy and spy, hanged. This steels her resolve to kill as many Germans as she can, especially high ranking ones, in order to wear down the forces. Eventually, she is assigned to a mission to take Field Marshall Paulus alive. Strengths: This deftly shows both the necessity of brutality during war, and the terrible toll it takes on those who are asked to administer it. Riordan paints a grim picture of the Russian situation, but doesn't make the Germans seem totally evil. This will be avidly read by students who like John Wilson's or Don Wulffson's war books. Weaknesses: There is a lot of graphic violence, and it is not for the faint of stomach or heart. Everyone has heard about Anne Frank, and she tells her version of the events that took place while she was hidden in the famous attic, but how close to the truth are her observations? Dogar's forward explaining how truth can vary is very illuminating, and the story of the time in hiding, interspersed with a speculative account of what befell Peter after he was found and sent to a concentration camp. Strengths: It is interesting to see a different perspective on the world of Anne Frank, especially from a male characters. 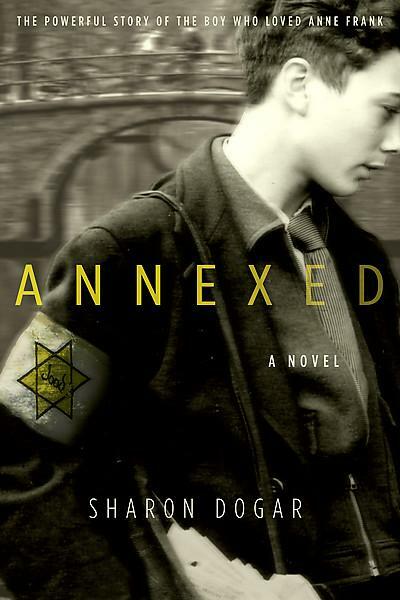 Our 8th grade always does a Holocaust unit, and it's difficult at times to find books for the boys. Weaknesses: There is nothing particularly new about the Holocaust in this book, not that there needs to be. I'm glad I bought a copy. Ten-year-old Keeper had a BAD day. She couldn't stand the thought of a batch of crabs being killed to make gumbo, so when Signe leaves her in charge of the simmering pot to go to the store to get spices, she frees the crabs. Unfortunately, in the process, she burns the pot, breaks a bowl, and causes widespread havoc. Signe is sad; Dogie, a neighbor and Keeper's employer, is planning on proposing to Signe, and she wanted everything to be perfect. 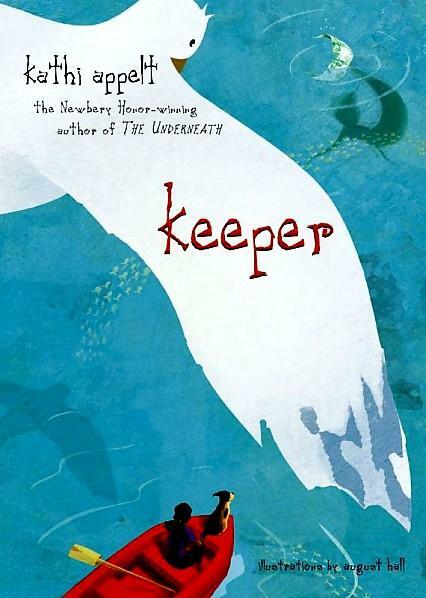 Keeper hides in her room and makes her plan-- she will go to sea that night to beg the sea goddess to make everything right (even bribing her with figurines carved by a neighbor, Mr. Beauchamp) and to find her mother, whome Keeper believes to be a mermaid. The sea is not safe at night, especially since a storm is brewing, and Keeper loses her dog and almost drowns before being rescued not by her mother but by a merman who has been waiting for years to be called by Mr. Beauchamp, who is his lost love. In the end, a clever bird and mystically awakened adults save Keeper, and everything turns out alright. Strengths: I was able to read this all. It is much better than The Underneath, this author's previous work. Weaknesses: (Spoiler alert!) 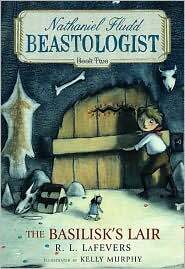 Reviews place this for ages 8-12, but it is my thought that it is really a book for adults with a young protagonist. Not because of the love story between the two men-- this is a little odd, since the one is a merman, but not objectionable in any way. It's the overwhelming sense of loss from the supressed memories about the mother, who turns out to have left because she almost drowned Keeper, and left her with Signe, who was a young runaway whom she picked up. I can't imagine giving this to an 8 year old. Perhaps for high school. This is the sort of book that language arts teachers love and kids... don't. Nominated for the Cybils by B. Wells. Jonah and Katherine are still working to get all of the children stolen from history back to where they belong, with the help of JB and an Elucidator, which helps the children survive their time traveling by assisting with skills and language. This time they travel back to the lost colony of Roanoke to deliver Andrea, who was supposed to grow up to be Virginia Dare. Andrea has lost both of her adoptive parents, and thinks that if she sabotages the trip back in time, she can save her parents, so she loses the Elucidator. The children find not only Virginia Dare's grandfather, but two other boys who have been sent by the mysterious "Second" to mess up JB's plans to deliver all of the children. Strengths: There is a lot of action and adventure, as well as a lot of historical facts and a new twist on time travel ("tracers" are ghostly images of people the way they would have been if history hadn't been messed with). Weakness: Perhaps because of the density of information, I found this one to be a bit plodding. The children all were one-note characters, and I was never quite convinced of many key elements of the time travel plot. Wooldridge, Connie Nordhielm. The Brave Escape of Edith Wharton. Well, this was just for fun. 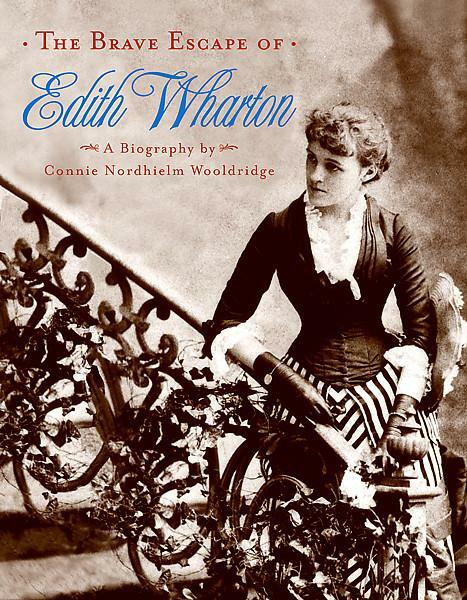 I can't imagine any middle school student slogging through this very well-done biography of an influential early twentieth century writer, but I enjoyed it tremendously. Woolridge does a great job of showing the social constraints of the tiem and contrasting them with how Wharton rebelled. This would be an excellent book for a college course on women's studies. I must admit that it was a little hard to feel all that sorry for Wharton, what with the huge house in the states and the arduous traveling through Europe. Plus the fame. And the multiple boyfriends, even if her husband was annoying and sickly. Appropriate for a high school library if the author's works are in the curriculum. Oh, and a bit of advice. NEVER let a vacuum cleaner salesman into your house. I don't know what I was thinking. Seriously-- $1,989.00 for a vacuum cleaner? Are they joking? My first CAR didn't cost that much. 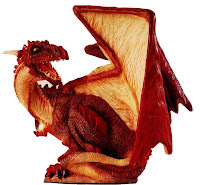 Over the years, I've had a number of students who wanted to read nothing but books about dragons. They usually had a matching wardrobe of dragon shirts and a bright future in the world of Dungeons and Dragons, and as a result, I have a nice collection of dragon books. Crum, Shutta. Thomas and the Dragon Queen. Though smaller than most boys his age, Thomas has a busy life, helping with his large family of siblings while his more talented brother helps with his father's leather working. After a chance encounter with a knight and his runaway horse, Thomas is taken to the palace to train to be a squire because all the able bodied men in the kingdom are off protecting the borders. There, he distinguishes himself as a hard worker, befriends the Princess Eleanor, and is knighted in due time. His first quest is to help slay a sea monster, which he manages to do despite his small size. 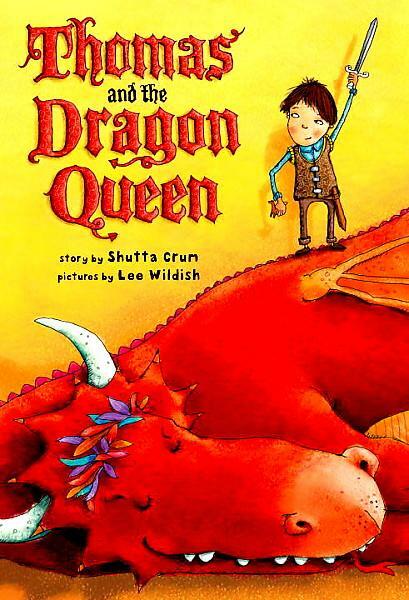 He loses his leather vest and is saved by a dolphin, and manages to reconnect with Eleanor, who is working as a nurse for the many children of the dragon queen. This sort of work is familiar to Thomas, he excels at it, and the dragon queen is grateful to his entire kingdom. Strengths: Fast paced medieval tale with good details of the training of knights. Well-developed characters. Weaknesses: This book skews very young. The pictures are unfortunately cartoonish. The audience who likes dragon tales tends to be composed of strong readers (think how difficult Brian Jacques' writing is to read!) , and the writing is very simple. 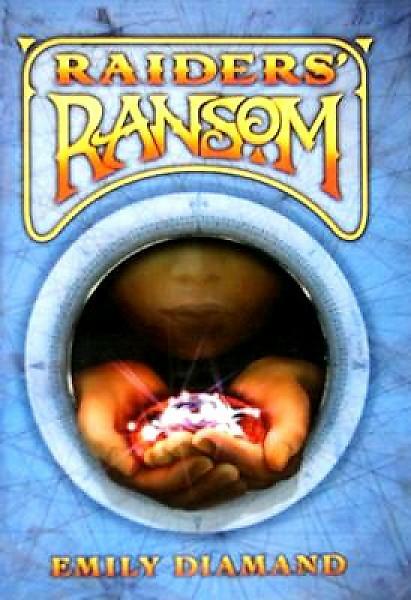 Looking at the other books on the dragon list, I can't see any middle schoolers picking this one up. It's just too gentle. Gannet, Ruth Stile. My Father's Dragon. Have a fire breathing weekend! Yeah, I know this blog is inexpertly titled, but changing it seems difficult because I might lose readers. And I could have named it something even worse, like Tissues Up My Cardigan Sleeve. Format-- meh, just changed it, but it's not like I have something cool with a pretty owl background. Even the book covers are not as beautifully presented as Nicole's at Booked Up. Today I tried to incorporate an item from daily life with the books like she does, but visit her site to see how it's done properly! Sparkes, Ali. Frozen In Time. Loved, loved, loved this book. Loved. Don't even know where I came across the description, but I knew I HAD to read it, and I was not disappointed. Ben and Rachel are having a dreary, wet summer staying with their researcher uncle while their parents' magic show is touring. When the tv goes bust, they venture out into the yard and find an odd metal wheel. After much prying, they open it to find a bomb shelter... and two cryonically children, Freddy and Polly (and their dog! ), whom they manage to wake up. Polly and Freddy, who are the other children's great aunt and uncle, were put into the chamber in 1956 by their scientist father, who had been experimenting with cryonics. He went missing, and it was assumed that he had killed the children! Uncle (nephew!) Jerome goes to London to try to sort things out before reporting the children to the authorities, for fear that they will taken away and tested. Left alone, all of the children go on long bike rides and bring Polly and Freddy up to date on new technology, food and social norms. They report to school, which is not terribly successful, since 1956 lingo and behavior makes the children the target of bullies. They research the events of 1956 at the local library... and that's what causes the trouble. The local librarian is a sleeper spy, planted in their community to watch for people interested in just that case. 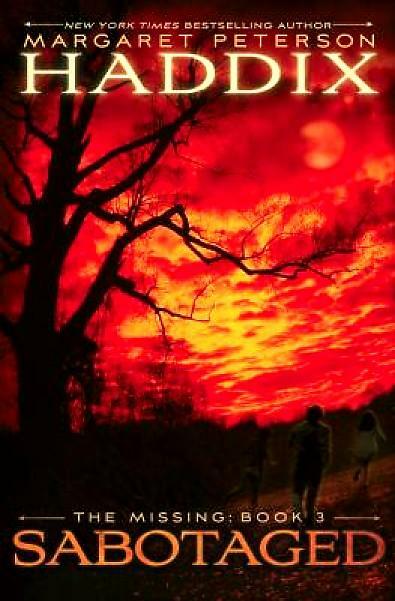 While Uncle Jerome has to deal with the government in London, the children have to outrun agents from the other side who are interested in them. This had plenty of mystery, action and adventure, but what I loved were the glimpses into the British behavior of the past as contrasted with behavior today. Polly sets a lovely table and cooks; Rachel microwaves chicken tikka and macaroni and cheese! It just made me happy. The one weakness of this book is that I don't know how interested my students will be in reading it, but I allow myself to buy one or two books a year for the library just because I love them so much and want to be able to share them with the occasional reader who will appreciate them. This is my book for this year. 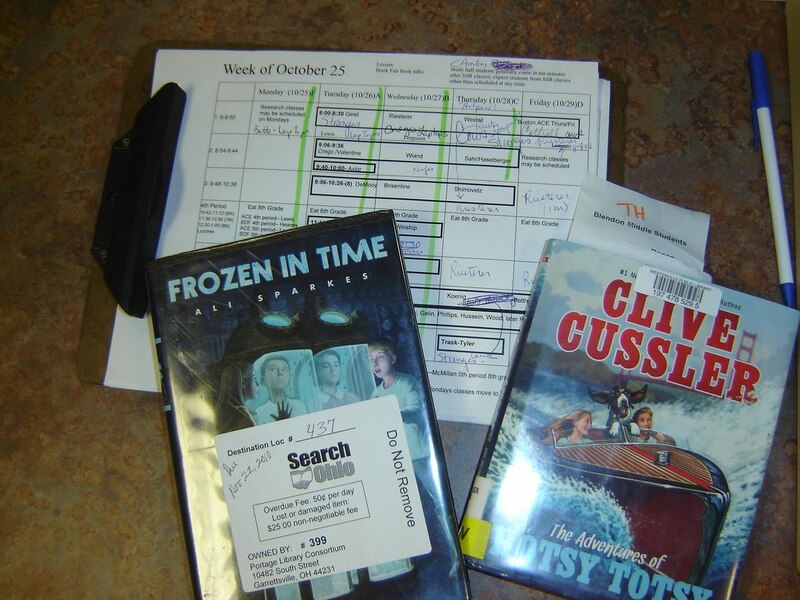 Cussler, Clive. The Adventures of Hotsy Totsy. Nominated for the Cybils by Sarah Sammis. This is a sequel to The Adventures of Vin Fiz (2006). Lacey, Casey and their dog Floopy use the magical pad and the mystery box left by Sucoh Sucop (a mysterious farm hand) to turn a model boat into a real one, head down the river, and work their way into the Gold Cup Grand National Boat Race. Because they are children and have not paid the substantial entrance fee, the officials don't want them in the race, and another participant, the Boss (along with his "evil henchmen") try to sabotage their efforts. Also impeding their progress in the race is the fact that they are Nicefolks (their last name) and stop to rescue several drowning people instead of focusing on winning. However, at the end, they get a large monetary award not for winning, but for getting the Boss put away. They return home to await another adventure. Even on Puss Reboots, Ms. Sammis mentions that the writing is not quite adjusted properly for the audience. I will concur with that. In fact, I have to fall back on the "if you can't say something nice, don't say it" adage for this book, because I found the writing, the characters, the names, and the events all lacking. If you know elementary or middle school aged girls who are interested in running, guide them toward the Girls on the Run web site. My younger daughter took this course through our local parks and recreation center before she joined the cross country team this year. 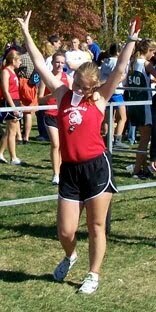 She had a very successful cross country season because she now LIKES to run. When it comes to books, I know that girls are not as picky, and that there are just more books for girls. So I focus on books for boys, even though I would much rather be all about GIRL POWER. I had a teacher ask me recently for a list of books that had more positive messages for girls than books like the Clique series, so I thought that on the even of my Guy Friday post, I would put this list. Comerford, Lynda B. Rissa Bartholomew’s Declaration of Independence. Devilliers, Julia and Jennifer Roy. Trading Faces. Dowell, Frances O’Roark. The Kind of Friends We Used to Be. Frederick, Heather Vogel. The Mother-Daughter Book Club. Kimmel, Elizabeth Cody. Lily B. On The Brink of Cool. Margolis, Leslie. Boys are Dogs. Sateren, Shelley Swanson. Cat on a Hottie’s Tin Roof. Schaefer, Laura. The Teashop Girls. Stewart, Paul and Riddell, Chris. The Phantom of Blood Alley. Oddly, not nominated for the Cybils. Barnaby is recommended to Clarissa Oliphant, a former dueling governess, to investigate the odd behavior of her brother Lawrence. When followed, Lawrence heads to a seedy laboratory in a bad section of London that is frequented by all manner of dubious characters, many of whom dabble in the new art of photography, which uses a host of toxic chemicals. Thinking that the chemicals are degrading her brother's mental facilities, Ms. Oliphant confronts her brother, but shortly after this, he is murdered and she becomes the main suspect, since the weapon in question was her prized dueling sword. 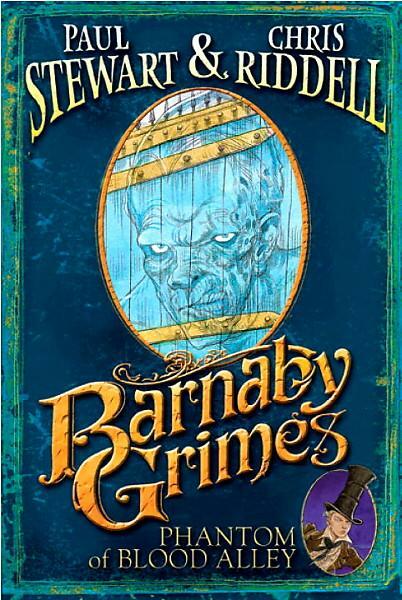 Barnaby then investigates Lawrence's contacts... and each one of them is also brutally murdered. What nefarious dealings are occurring, and how can Barnaby stay safe? Strengths: This entire series (Curse of the Night Wolf, Return of the Emerald Skull, and Legion of the Dead) is packed full of action, creepy monsters, and an accessible Victorian setting. Barnaby is a fun character who manages to survive and prosper on his own. Fabulous drawings. The brief historical information about photography is presented in an engaging way. There's a mystery unit going on in the 8th grade, and since the books can be read independently, I think I will just get them ALL checked out. Weaknesses: The skateboarding with a piano lid on pram wheels seemed odd and forced. I'm still not entirely sure the "dueling governess" concept isn't real! Olive's family moves to an old house complete with all the creepy, antique furnishings. Among these are pictures that seem to... flicker in ways that creep Olive out a bit. Then there are the talking cats that show up, and she knows that something is going on! She finds a pair of glasses that let her climb into the pictures, and the adventure begins. She finds a young boy named Morton who tells her that he was sent into a picture by a man who turns out to be the grandfather of the owner who died just before Olive's family moved in. He was an evil magician who could trap people in painting. His granddaughter, Annabelle, is in one, and when Olive releases her, the magician may come back to life through a locket that Olive has found and must now keep safe! Olive, Morton, and even the cats must work to keep this from happening. Strengths: This was a really good haunted house/ghost story, ala Mary Downing Hahn or Betty Ren Wright. The premise was original and the details well executed. I liked Olive, and her reactions were realistic. I will definitely be buying this one! Weaknesses: I would have been happier if this were a stand alone book. The writing started out to be annoyingly precious, but that didn't continue. 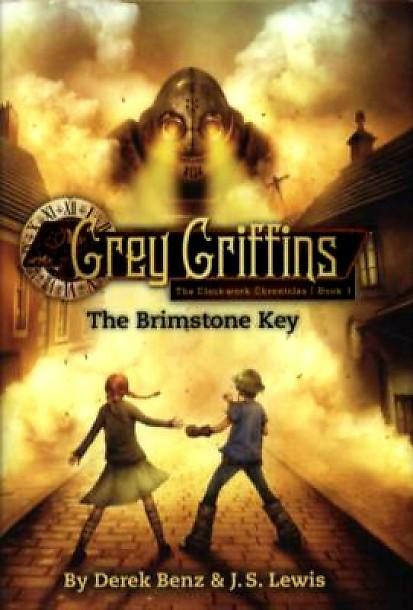 The Grey Griffins (Max, Harley, Natalia and Ernie) stopped being normal kids when they got swept into the world of supernatural beings in the three book series that starts with Revenge of the Shadow King. Now they are leaving home going to a school run by the Knights Templar, Iron Bridge Academy. The students there are all a little unusual, like to dress in Victorian clothing (there's an edifying chapter on Steampunk dress code), but band together when the evil Clockwork King's plan to steal changeling children and use their energy to run his machines is uncovered. This is a dangerous task: be warned that one of the characters does die in a rather upsetting way, and the Clockwork King is still going to be back for more. Strengths: The first series was oddly popular in my library-- I bowed to student pressure to buy it, horrible Scholastic paper-over-board bindings and all. There's a lot of action and adventure, and the characters are multicultural. This can be read without reading the first series. Weaknesses: My middle school students do NOT get Steampunk, and this tries very hard to be Streampunk, to the point where I was distracted by all the gadgets. My students won't even read Leviathan. The characters also seemed a bit cliche. This has been displayed prominently at Barnes and Noble, so if I have students request it, I will purchase it. These series with a whole string of names are getting to be a bit annoying. The Shadows deserved a MUCH better title, something like Painted Evil or Spectacles of Doom. 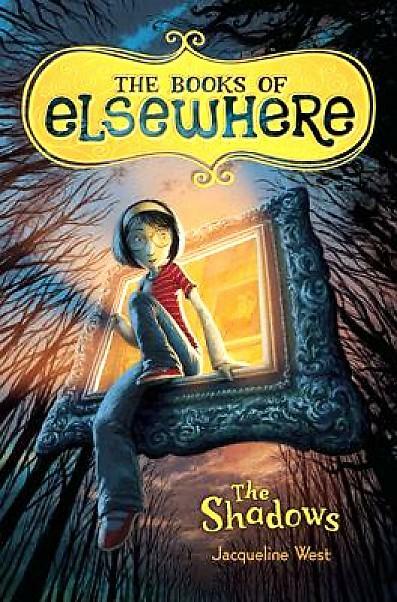 Even the series title, The Books of Elsewhere, is horrible. Even The Mystery of the McMartin Mansion has a better ring to it. Nominated for the Cybils by Kate Coombs. May wax a little enthusiastic about this book because I have been hankering for some good, old fashioned science fiction, if such an animal exists. Something more Star Trek than Soylent Green. Asteria has a dull life farming on Theron. This comes to a brutal and abrupt end when raiders attack the farm and kill both her father and cousin. 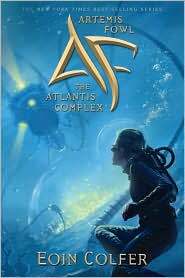 Having no other relatives, but finding a legacy notification to the Academy, she escapes the overly religious Bourse who want to marry her off so the farm can go to one of them, debates presenting herself as a boy, and shows up at the Academy and gets admitted on the strength of her father's heroism in a horrific spaceship attack. She meets Dai, another commoner who knows more about what academy life is like, but runs afoul of Lord Mastral, whom she bests in a fight. Determined to gain a commission at find the raiders who Kayser, killed her family, Asteria studies hards, learns the ropes, and puts up with the indignities heaped upon her by the bratty Kayser. Unfortunately, Kayser's family has it in for Asteria, and their revenge may extend as far as planning evil for her home planet. Strengths: Space ships, technology (may I have a pulsebook instead of a Kindle? ), a futuristic society that is NOT dystopic!!! It's not perfect either, but the problems come from other humans. Well written. The straight forward, easily flowing prose drew me in right from the start, and I read every word. I usually skim... a lot. Weaknesses: Felt I was missing some explanation about the Aristocracy, and the book is available only in paperback, like the Marooned series, which is just criminal. Liva is the daughter of royal shapeshifters. Her mother has decided to keep the form of a wolf to protect her, and her father stays a bear for the same reason. 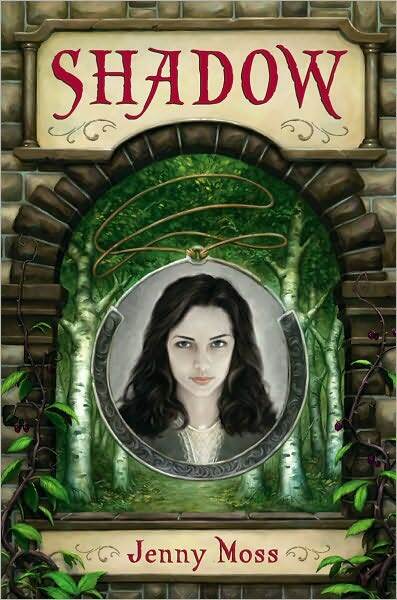 They have a pleasant enough life out in the wilderness, where her father tries to repair damages to aur-magic that occurs throughout the kingdom. Liva meets a human, Jens, who has no magic whatsoever because of the evil Hunter, who is trying to do away with all aur-magic. Jens and Liva feel an immediate connection despite their disparate paths, and end up working together with the hunter's son to defeat him. They are then able to be together. Strengths: Even though this was the third book, I was able to get into the story, although I was missing a few things. The language is very lyrical, but the story is still fast-paced. Fans of Tamora Pierce or Cashore would like this one. Weaknesses: I couldn't figure out why the Hunter was so set on destroying all of the magic, but that was probably explained more fully in the first two books. DiTerlizzi, Tony. 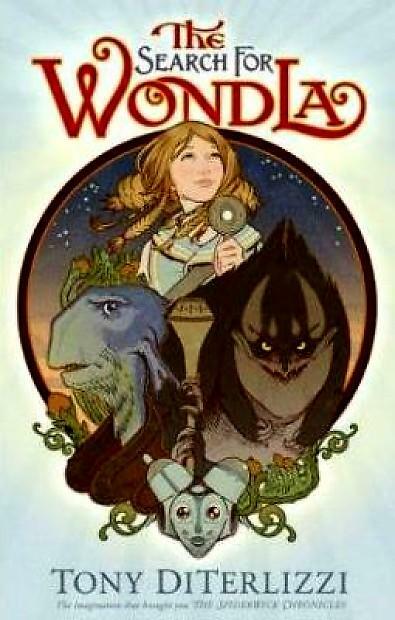 The Search for WondLa. Nominated for the Cybils by Debbie Barr. Eva Nine is being raised in a Sanctuary by a robot, Muthr. She is safe, well fed, and amused by the holographic projectors. When the evil Besteel attacks her home, she must flee before she is ready to go into the outside world, with the Omnipod to help her survive. (It tells her how to do things and helps facilitate mechanisms in her clothing that can heal wounds, etc.) Along the way, she meets Rovender, an alien who has a device that allows Eva to understand speech other than her own, and Otto, a behemoth who can speak to her telepathically and saves her on many occasions. Eva is trying desperately to find other humans and understand a bit of photograph that she found (the only words on it being "wondla") but is instead captured and almost made into a museum exhibit by the Besteel's evil boss. 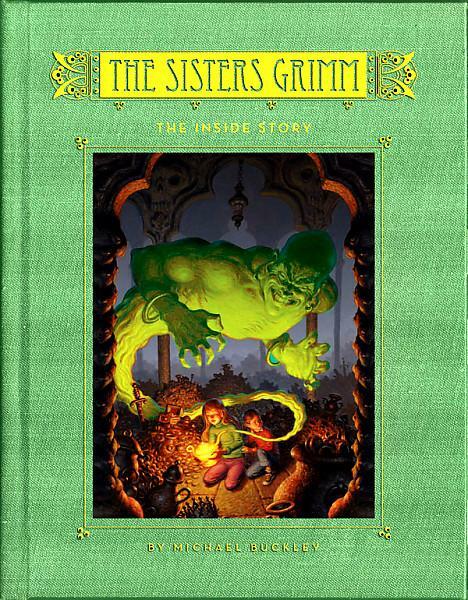 After a rather epic battle during which Muthr is destroyed, Eva and Rovender end up at the rare book archives in New York City, where they find partial answers to their search, but also more questions. Strengths: The pictures are beautiful, and there is an interactive web presence for the book. While this is slightly dystopian, it's not quite as dire as most; there is a feeling of hope to this science fiction. Weaknesses: This has gotten a lot of positive buzz, so I feel like I'm just not getting something. I thought the aliens looked like Star Wars characters, although the rest of my family didn't see that. I was really irked when Rovender was speaking in his own language and Eva couldn't understand him-- it almost made me put the book down. The quest for another human I could understand, but the picture never spoke to me as something Evan really wanted to find out, and the ending struck me as really weak. That said, I agree with Jennifer that Nanny Piggins was "twee", but somehow I still liked it, which is really odd. I also still like Alex Van Helsing: Vampire Rising, but others are not. I'm trying to reconcile what I like, what my students read, and what is good literature! There are a few students in middle school who play guitars and are interested in forming their own rock bands. I even helped name an Emo band once; Vitriol. 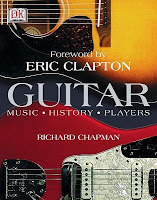 When it comes to books, however, it's really hard to find books involving the world of rock and roll that are appropriate. 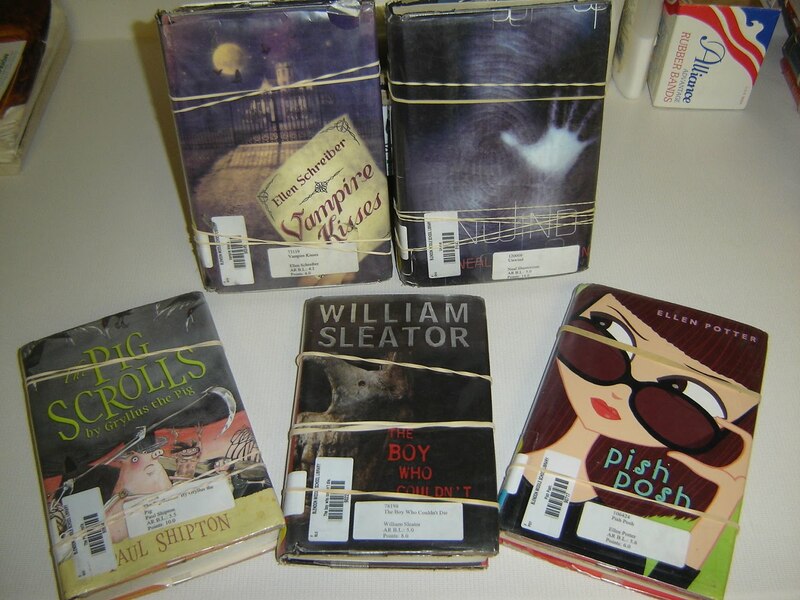 The books tend to be more for high school students and often involve drugs and creative use of vocabulary. One big problem with these books is that styles change so quickly. 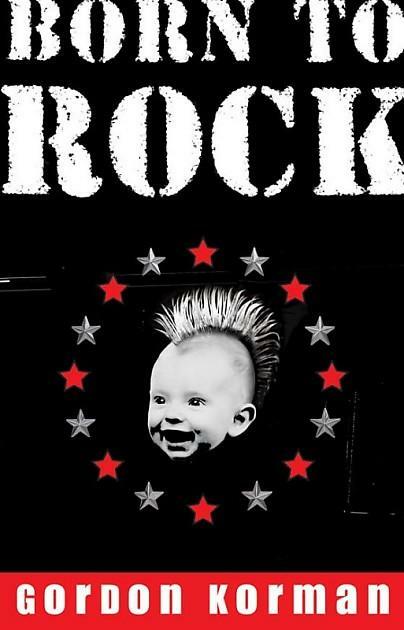 Korman's Born to Rock (2006) is holding on, mainly because the baby-with-a-mohawk cover is kind of silly. 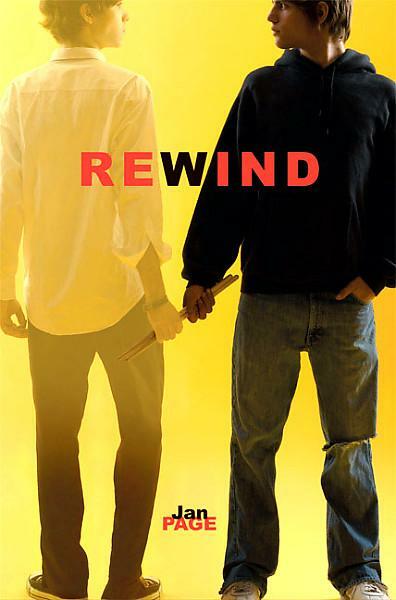 Jan Page's Rewind (2004) involves rock in two different time periods, so is still okay, but appeals more to fantasy fans who want to read about time travel. 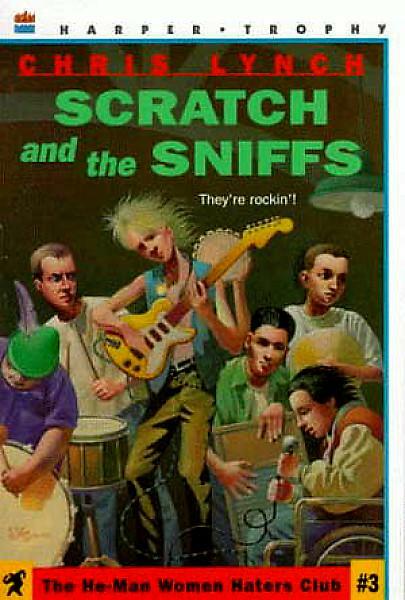 Chris Lynch's Scratch and the Sniffs (1997) is so dated that no one will touch it, and the Provost's Popcorn (1986), while a fabulous look at how rock bands actually form, is something that no self respecting, black-clad 8th grader would be caught dead in a closet with. Gilbert, Sara. 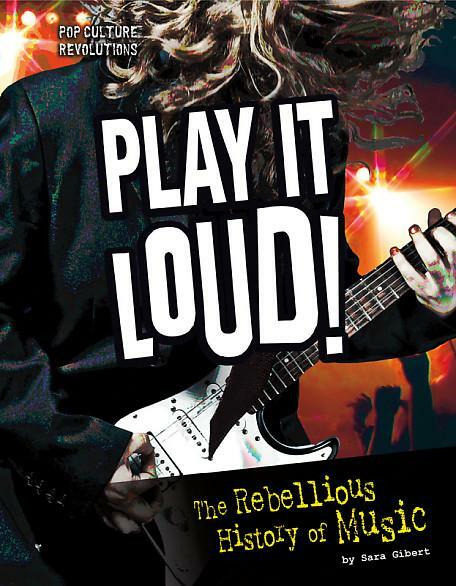 Play it Loud: The Rebellious History of Rock and Roll. It's also somewhat difficult to find nonfiction books. I'm sure that discard piles everywhere are littered with 20 year old biographies of now obscure bands. Wouldn't buy a Justin Bieber biography if you paid me. This is why Play it Loud is such a nice book-- it introduces brief clips of information about a variety of acts that represent different historical developments in rock. I just wish the book were a little longer, because it was fascinating. I had no idea that, because of his Nazi connections, Wagner's music is banned in Israel. 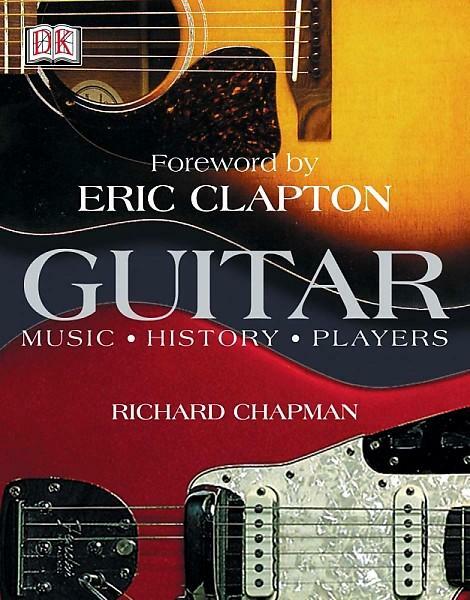 This book will go out frequently, along with the Dorling Kindersley Guitar: Music, History, Players book. 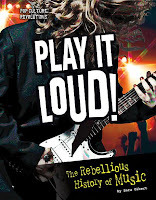 Anyone have any great ideas for books aimed at middle school boys interested in rock and roll? Spratt, R.A. 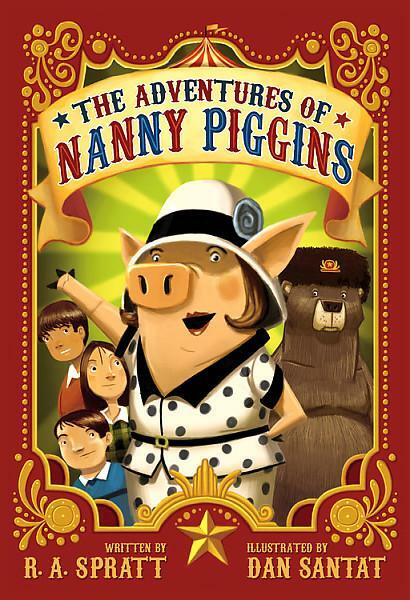 The Adventures of Nanny Piggins. Mr. Green needs a nanny for his three children because he is a very busy lawyer, and the children's mother perished in a boat accident. However, he doesn't want to pay a nanny or even pay to advertise for a nanny, so when he sticks a sign in the yard and Nanny Piggins shows up asking only ten cents an hour, he hires her on the spot. The children, who are usually well behaved anyway, are delighted. Nanny spends the money allotted for their school supplies and uniforms on a trip to the amusement park as well as some giant sized chocolate bars, she fends off the evil Nanny Allison, and she gets involved in a pie baking smack down with another nanny that ends with many, many pies being consumed. The children are happy, Mr. Green is happy because they don't disturb him, and Nanny Piggins is happy because she doesn't have to be shot out of a cannon. There are two more books out in Australia, but nothing in the US. Strengths: Having read so many long and laborious fantasy books lately, I am always impressed with a book for which I can remember the plot and characters after I have read it. This is goofy, but well done, and I enjoyed it much more than I thought I would. It reads like a more accessible Mary Poppins. Weaknesses: The Pilkey Line. While this is fabulous for elementary students, it might be too young for middle school, although (oddly), yesterday for the first time I had a student ask for a book involving pigs. This would be perfect. Blume, Lesley M.M. Modern Fairies, Dwarves, Goblins and Other Nasties: A Practical Guide. This is a surprisingly dark compendium of stories about the creatures mentioned in the title. Set in New York City, this intersperses the stories with practical suggestions for how to deal with the variety of supernatural creatures. The illustrations are nicely creepy and add a lot to the book. 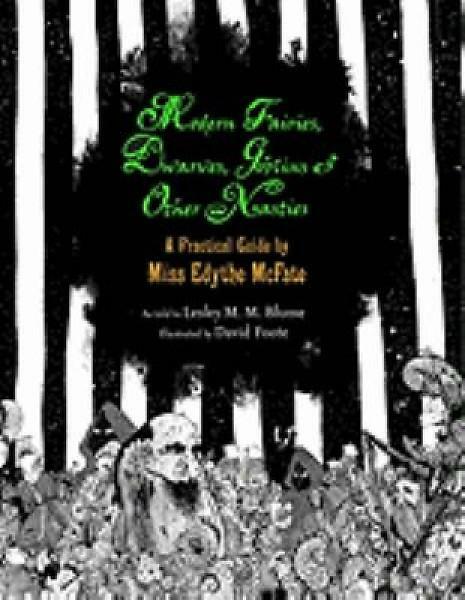 There is a nice mixture of traditional lore (fairy circles, changelings, dwarves) with fun stories (I especially liked the one about the Algonquin Hotel) and updated "information" about gifts for moden fairies and the like. Strengths: Engaging and original. The writing is facile and drew me along. The book is an attractive one. Weaknesses: Again, audience. While this is a nice change from vampires, I haven't had any students show an interest in this particular set of supernatural creatures. Riordan, Rick. The Lost Hero. Nominated for the Cybils by Kate. I admit it; in order to read this, I had to deny a student. Once it went out, it would never be back in the library long enough for me to read it. I will personally deliver it this morning! There may be spoilers here, so don't continue reading if you don't want to know! Percy Jackson is still missing, and Annabeth is going in search of him. First, however, three new children of the gods show up at Camp Half-Blood. Leo is the son of Hephaestus who also has the ability to withstand fire. He is still grieving the death of his mortal mother, has the ability to fix just about anything mechanical, and is attracted to girls who don't like him. Piper, whose mortal father is a movie star, is the daughter of Aphrodite, which explains how she was able to talk people into giving her things (which were then assumed to be stolen). Lastly, we have Jason, who has lost all of his memories but is the son of Zeus in his Roman incarnation as Jupiter, and as such, is in the greatest peril of them all. 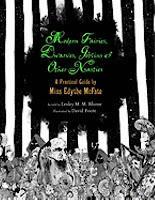 After a prophecy is revealed, the three form a team and take off across the US and Canada, meeting Medea, King Midas, and others in their quest to rescue Hera, who has been captured as part of an uprising that can only be squelched by connecting with the camp of the Roman gods, where they believe Percy might be. Strengths: Riordan must be the most dedicated writer alive-- he travels to meet his fans and can keep churning out books. The use of Greek and Roman mythology is still fascinating, and the writing is fun. Can you say "chain-mail muu muu" without laughing? This will be hugely popular, and was a clever way to continue the story without making us tired of Percy. Weaknesses: A bit formulaic. The characters strongly echoed those from the previous book, and the snort-through-my-nose-funny moments were fewer and further between. Also, there is some Latin that may be incorrect, but I tried not to look at it because I really didn't want to know how wrong it was. Sigh. What have we said, people? Any author who tries to put Latin into a YA book needs to check with me first! I haven't taught Latin in 18 years, but if I can tell it's wrong, it must be really wrong! Lechermeier, Philippe. 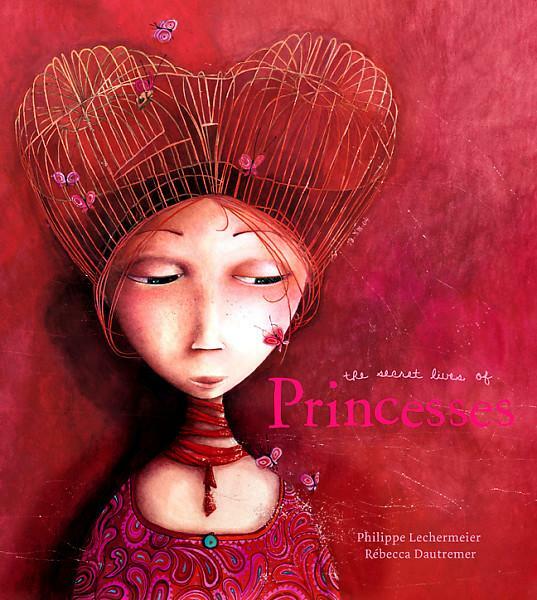 The Secret Lives of Princesses. Nominated for the Cybils by Danielle Smith. Have to say first that I think this book is misplaced. It's a massive 14"x14" or so, heavily illustrated... it's a picture book. This is further evidenced by its lack of continuous narrative. The pictures and accompanying descriptions of different sorts of exotic princesses are interesting, but there's no plot, no character development, and I think putting it even in grades 2-4 is pushing it. I really don't like picture books. I may be the only person who doesn't. 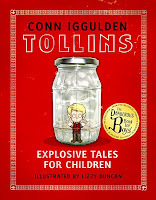 Iggulden, Conn. Tollins: Explosive Tales for Children. Nominated for the Cybils by Matthew H.
This comes perilously close to being a picture book, but since it weighs in at 172 pages, I guess it's not. 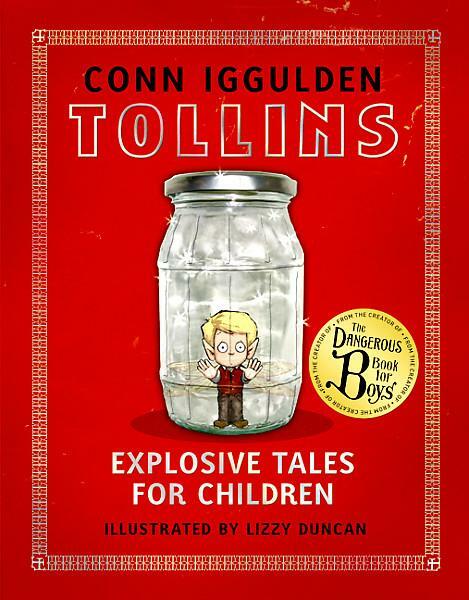 Tollins are small, fairy like creatures that live in a little village called Chorleywood that is experiencing growing pains due to the increase in factories. When one Tollins is accidentally put into a firework, with their kind are enslaved and used in more fireworks, which singes their wings off and relocates them, but seems not to kill them. In order to break this enslavement, one of the Tollins talks to humans, which is against their rules, and gets thrown in prison. Eventually, everything is worked out. Strengths: The pictures are cute, and there's a vague early 1900s history being played out. Weaknesses: I expected more from the author of The Dangerous Book for Boys. I thought more things would explode. Just wasn't what I thought it would be. Boys may be reluctant to read about fairies, even if they are scowling and devious. Nominated for the Cybils by Nell Clark. 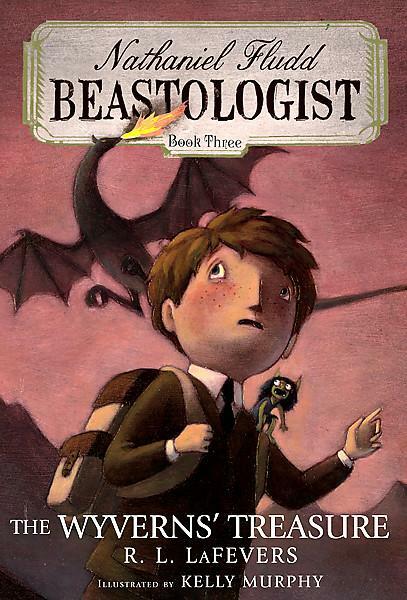 In this second book in the series (the third is also a nominee), Nathaniel and his Aunt Phil are called to investigate the escape of a basilisk. They must travel from Cairo to Bamako (in the Sudan), a trip which is complicated by the presence of Nathaniel's gremlin, Greasel, who incapacitates motors of all kinds in order to drain their oil. (This is set in 1928, so planes are involved as well.) Along the way, the pair learn more secrets of the basilisk, and also that someone else is following their trail and trying to get the creature as well. Strengths: This is a tightly constructed story with pleasant, well-developed characters. While a little young for middle school, it's a great series for 3-4 graders, packed with history, adventure, and monsters. Weaknesses: The pictures didn't add to this for me. I would have rather seen them done in Sean Ashby's wonderful woodcut style. MANY, MANY thanks to Ohio LINK. 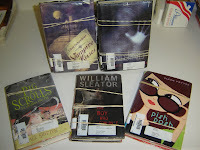 My local library and libraries throughout Ohio have been keeping me well supplied with books. Coville, Bruce. The Last Hunt. As with Dark Whispers, this final volume of the Unicorn Chronicles is heavy duty fantasy stuff, and a massive 605 pages, complete with a huge appendix on characters. 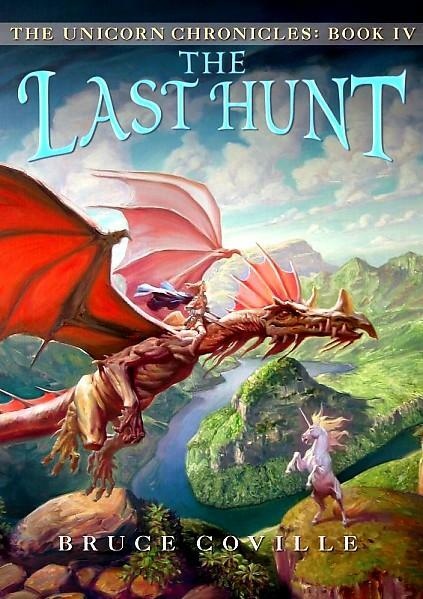 I have problems following plots when so many characters are involved over so many pages, but basically, the unicorn killer, Beloved (who is angry because her father was killed by a unicorn) has invaded Luster with a bunch of Hunters to do her bidding, and is about to cause the destruction of the world. However, her granddaughter (who somehow has human and unicorn blood) tries desperately to save the world and is aided by Great Powers toward this end. Strengths: Nicely done high fantasy, this will be greatly enjoyed by students who are really into unicorns, magic and the like. The brown ink is a nice touch. Weaknesses: The casual reader would be completely kerflummoxed by this, which is too bad, since the first two books in this series are more accesssible. 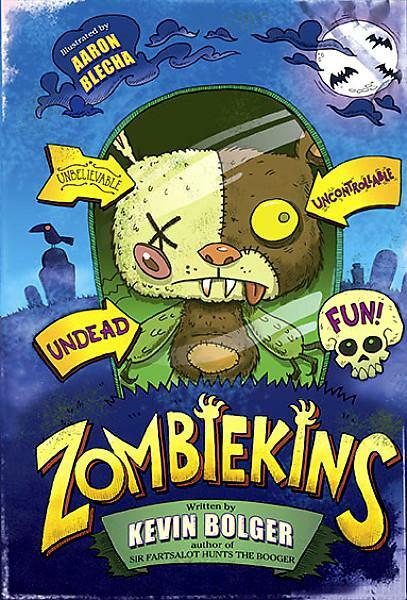 I wish that Coville would write more of his shorter, funny books for middle grade readers. This verged on YA. Lilly lives in a fishing community with her grandmother and a seacat, who has chosed her and is greatly coveted by the others in the community, who don't think Lilly deserves the cat even though it has chosed her. The setting at first appears to be in an English community in the mid 1800s, but is actually set in the 23rd century when ecological problems have caused much of the earth to flood. When Lilly's grandmother is killed by raiders who also kidnap the prime minister's daughter, and Lilly's town is blamed for this, Lilly decides to try to save the day by herself. She is aided by an urchin named Zeph, and the chapters alternate between the two as narrators. Lilly is helped by a "jewel" that turns out to be a computer that has survived the collapse of technology. Strengths: The characters are likeable, the environmental message is one of which we need more, and there is a lot of adventure. Weaknesses: The technology is inserted in a rather strange way, and the interpolation of modern phrases into the 19th century lingo is jarring. The emphasis on the importance of the cat at the beginning of the story made it difficult for me to get into the story. Tellegan, Toon. Letters to Anyone and Everyone. 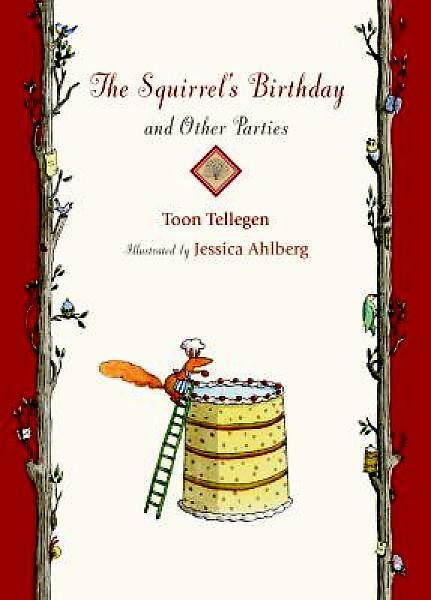 The Squirrel's Birthday and Other Parties. These very attractively illustrated books do not strike me as fantasy or science fiction, but the animals do talk. They remind me more of Winnie The Pooh or the works of Beatrix Potter. Both of the books include short vignettes. 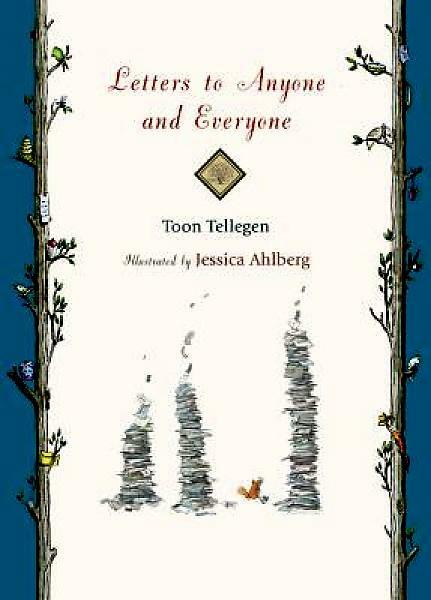 The first book largely involves letters being written between squirrels and ants and elephants, and the second has a variety of parties with the same characters. Both involve a lot of cake. Strengths: These are very pretty, pleasant books that would make a nice baby shower gift for someone whom you know already possesses the entire Potter collection. Weaknesses: I don't see any elementary or middle school students picking these up, but they are too sophisticated for the emergent reader category. They seem like the sort of book that parents read aloud to infants. Also, they both seem to have been published in 2009, but I don't know exactly what month. Molly's family is surviving in British Columbia in a world where only the government has any oil. Her mother is pregnant and not doing well and the only local doctor has died in an accident. Molly and her father decide that she should go to Portland, Oregon to check on her grandparents, because her grandfather was a doctor who could potentially help her mother, and her grandmother may be ailing or dead. Molly starts her perilous and illegal journey to the States armed only with her trusty violin. When she finally finds her grandparents, she finds that they are not doing well, and surviving because of the kindness of a neighbor who feeds them from his garden. Molly tries to earn money by busking in a local market, but finds that a crime syndicate runs the market as well as much of the local economy. Luckily, the nephew of the Boss takes a liking to her. However, when Molly witnesses the syndicate beating up the neighbor who supplies food, she is no longer allowed to leave Portland. Upon reflection, Molly and her grandfather decide that the only option is for them all to leave and return to the farm to take care of Molly's mother, so they take the 1959 car that her grandfather has kept in the garage for years, get help from the nephew, and start their adventure back to Molly's farm. Strengths: This dystopian view of the future (2041) is a little more believable than some. Oil runs out, food is scarce but available, and people need to fend for themselves. Molly was a fun character, and the brief romance lightened the mood a bit. Weaknesses: I liked this better when it was mainly the dystopian vision; the introduction of the crime syndicate changed the story entirely, and I didn't like it as much. 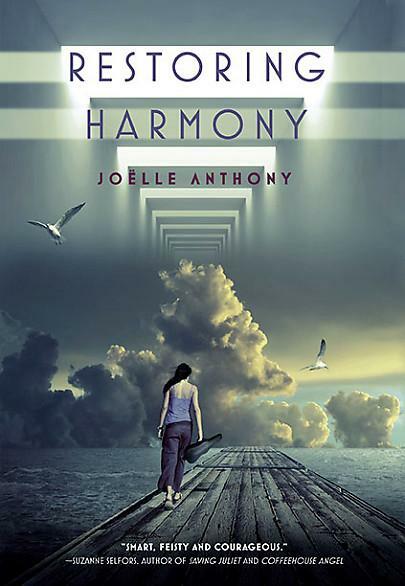 The cover, with a girl in a tank top with a violin case, makes the book seem like it would be about some other topic. Nominated for the Cybils by Elliot. 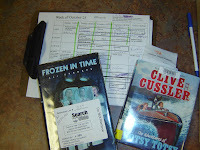 Had to skip The Kings of Clonmel because I am a nice librarian and let the students have it first, so I missed a little bit having to do with the evil Tennyson, who apparently killed Halt's cousin, King Ferris, and is terrorizing the local population and making them turn over their valuables to him. Will spends quite a bit of time looking for this character, practicing his menacing looks and grabbing-people-by-the-collar, and then there's a lot of Tolkien-esque tramping about in the woods until Halt gets wounded by an enemy arrow tainted by poison, so Horace and Will have to hunt down Malcolm to get an antidote. More tramping in the woods. They finally locate Bacari, the Genovesan who shot Halt, get the antidote, cure Halt, and finally dispatch Tennyson...or do they? I'm betting that he will be back in the tenth and final book The Emperor of Nihon-Ja, which is due out on April 19, 2011. Strengths: This is still a page turner-- something about Flanagan's style keeps each chapter on an upswing and makes me want to know more. The characters continue to develop, and their loyalty and friendship is enjoyable. Weaknesses: Not much happened. I love this series, but this felt a bit like a filler. Maybe it was setting up a lot of things for the last book (like Artemis Fowl last night), but I missed the battle strategy and the shades of gray of right and wrong that was so clearly evident in previous books. Artemis, Zombies and Houses... Oh, My! Nominated for the Cybils by Brandon. Having just read Colfer's story on how Artemis is based on his brother's dealings as a child, I picked this up with new interest, but I've always struggled with this series and still have a hard time reading it because there really isn't any good side. Granted, Artemis does seem to be weakening-- he's spending his entire fortune on an ecological project to save the world, and the fairy Holly thinks it is because he is suffering from a condition that usually afflicts fairies who are evil. There are a lot of characters brought into this story whom I thought I should know and didn't; it's been a while since I read the other books, and avid readers will have a better handle on the back story than I do. This didn't have quite the action and adventure (nor the travel) of the previous books, and it seems like a lot of ground work was being laid for the next book, which will be the last one. Strengths: Artemis certainly is given a lot of room to grow and develop here, which was somewhat lacking in the other books, and I like him a little more since he isn't as evil. Weaknesses: Okay, Disney Hyperion. Really? We're on book seven of eight and you redesign the covers? Like I'm going to go out and replace the other 10-12 books I have with the old covers. Grrr. Yes, the new cover is pretty, but really annoying! Oh. The writing. Younger fans may complain about not as much action. Nominated for the Cybils by D.M.Cunningham. When Stanley picks up a Zombiekins doll at a tag sale held by the town witch, he thinks it will be a pleasant change from his sister's sickly sweet toys, but he fails to heed the witch's warning that he should follow the instructions. Stanley also doesn't pay enough attention to the fact that the zombie doll eviscerates his sister's other stuffed animals, and takes the toy to school, where it goes into overdrive and starts turning the other students and teachers into zombies. Luckily, the witch provides an antidote, tragedy is averted, and the stage is set for the zombie doll's other adventures in an upcoming sequel, They Came from Under the Bed. Strengths: The illustrations add to the story nicely, and younger students will enjoy the worm eating and other grossness. Weaknesses: This goes over that cartoony, goofy line and makes it too young for my middle school students, and it's like Captain Underpants with zombie dolls. I love Captain Underpants, but I would not consider it Great Literature. Maybe we will call it The Pilkey Line. Thoughts? Llewellyn, Tom. 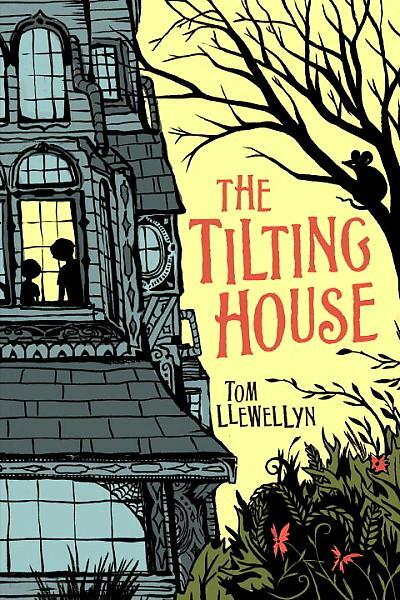 The Tilting House. Nominated for the Cybils by Amy Baskin. Because Josh's father doesn't make a lot of money working in an art museum, and because he is drawn to the weird decorations of an old creepy house, Josh's family moves in to the Tilton house even the the floors are uneven and the place is infested with rats... that talk. In a series of anecdotes, we find out more of the mysteries of the house, which include a light switch that makes the house invisible, a box of powder that makes a neighbor dog grow huge, and a hidden statue that brings all of the mysteries together and allow the family to stay in the house. Strengths: Stays on the middle school sidegoofy, even with the father buying a duplex next door for the talking rat. Stories are pleasantly creepy, and definitely original and fresh. The woodcut-like illustrations add a nice touch. Weaknesses: I wanted a creepier reason for the house being the way it was, and expected either more mystery or more blood and gore, somehow. Something darker. This is worth buying if only for the one story, The Man Who Killed Darren Shan! There are 14 short stories in this, and several share a common theme of obnoxious children who meet bad ends. 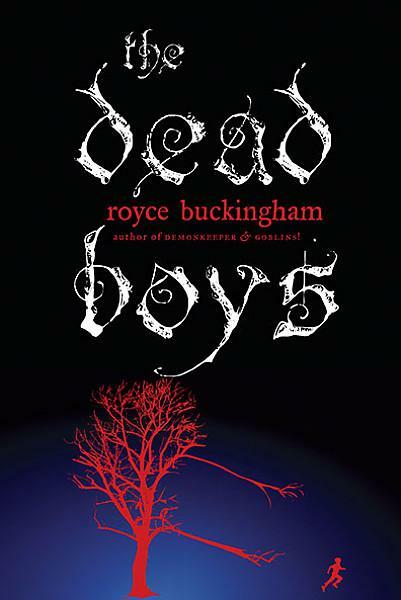 The thing that I liked most about them was that they had some very unexpected, twisted endings: My Bloody French Exchange was brilliantly creepy, and The RoboNanny was fun because I did not see the ending coming at all. There is enough blood and gore to make R.L. Stine fans happy, and Horowitz even comments on what most adults think of that sort of thing in the first story Why Horror Has No Place in Children's Books. These would make some excellent read alouds for Halloween! Strengths: Anything by Horowitz will be picked up, and readers will not be disappointed in this offering. Weaknesses: Blast you, Penguin Putnam!! Why the horrible paper-over-boards binding without a dust jacket! 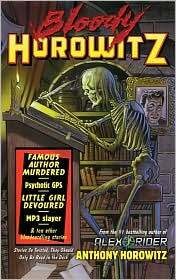 This is why my Horowitz Horror and More Horowitz Horror are being held together by tape. If you are going to publish good stories, at least put them in a binding that will last a year or two. And what's with the horrible cover? Nominated for the Cybils by Sally Beringer. Shadow has been with Queen Audrey for as long as she can remember, suffering the indignity of sleeping on the floor, doing menial tasks, and not even having her own name. She is somehow supposed to protect the queen, who has been prophesied to die before her 16th birthday. When Audrey does die, there is nothing Shadow can do to save her, but she is about to be blamed for the death, so Sir Kenway, who was in love with Audrey, spirits her off to the forest in search of a witch who can protect her. While there, Shadow learns the mystery behind her identity, and also realizes that only she can protect the kingdom from the various problems that are plaguing it. Strengths: The writing flows very smoothly, the story makes sense, and there is a strong sense of place. Weaknesses: Shadow was too limp a heroine for my tastes. Her romance with Kenway seeemed somehow... icky. He pushed her around a bit too much. I saw the twist in the plot coming. This read more like a YA book to me, not that anything was inappropriate. There was more introspection about identity than action. Meyer, Stephenie. 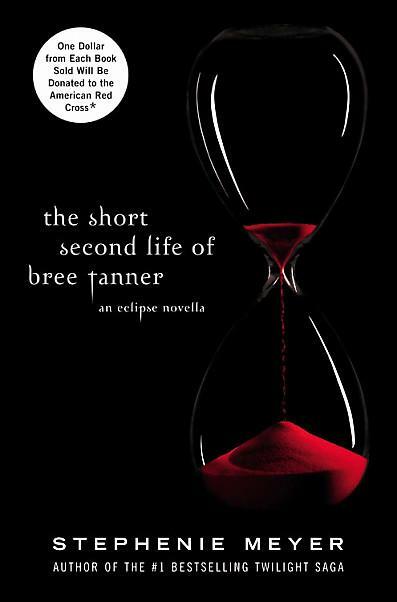 The Short Second Life of Bree Tanner. Bree is a newborn vampire who hangs around with other new vampires who are having trouble controlling their thirst and who are given free range to go about marauding and killing humans. Bree seems to have a little more sense of humanity and propriety, but it's not enough to save her. I am SO glad that I only bought one copy of this. Sure, it will get checked out, but fans of Twilight like the book for the romance, and this is pretty short on that. Instead, we have some gruesome feeding going on. Yuck. Definitely keep this one away from 5th graders who are bound and determined to read the series. Scieszka, Jon, ed. Guys Read: Funny Business. 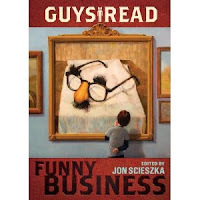 Mr. Scieszka really needs to get to work writing a middle grade novel (Spaceheadz was just too young for my group), but while we're waiting, I can try this collection of short stories by various authors out on my boys. 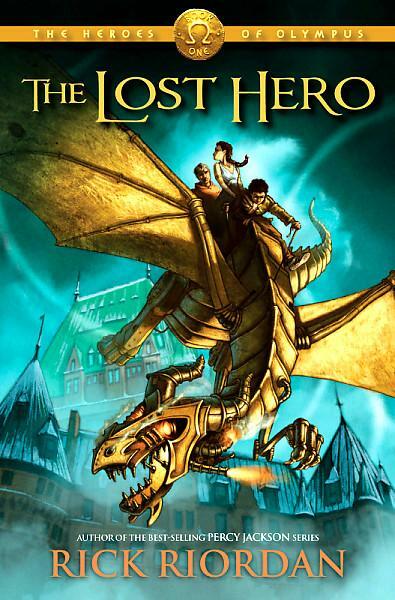 My favorite story by far was by Eoin Colfer, and detailed how one of his brothers was the inspiration for Artemis Fowl. Other notable stories include Kid Appeal, by David Lubar, which could easily be developed into a book with Dwight Howtzler as the main character, and Unaccompanied Minors, by Jeff Kinney, that shows that the Wimpy Kid author could well put his talents to other uses whenever he gets tired of that series. Strengths: Funny writing, snippets from well-known authors, good cover. Weaknesses: It's really hard to get students to read short story collections. No idea why. I even put all of my story collections into the fiction section, but they are still a hard sell. Higson, Charlie. By Royal Command. James spends a lovely few weeks learning how to ski with his classmates in the Alps, and even though an idiotic classmate almost gets him killed on the slopes, it's a good diversion after his recent adventures. When he gets back to Eton, however, he discovers more intrigue. 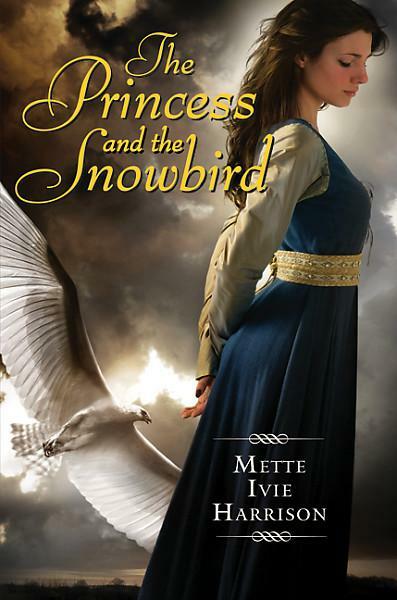 Since it involves the lovely young Roan, a maid at the school, he doesn't mind at first, but when he uncovers a plot to assassinate the king, he has to decide which side he will be on. It's hard for James to see the world as black and white; even though Roan is on the wrong side, he thinks she is a good person, and he gives up everything to escape with her. This is supposed to be the last book in the series, but the ending was so open that it just doesn't seem like it should be. Strengths: Wonderful sense of place and time. Bond's world and the people in it are lovingly described. 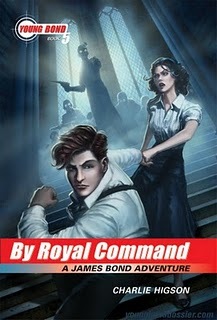 There's also a lot of action and adventure, which is why my students like these, but I loved the depiction of a private school in pre-War Britain. Weaknesses: This same attention to the details of the period make the first novel, Silverfin, slightly difficult for students to get into. I encourage them to perservere. Myklusch, Matt. 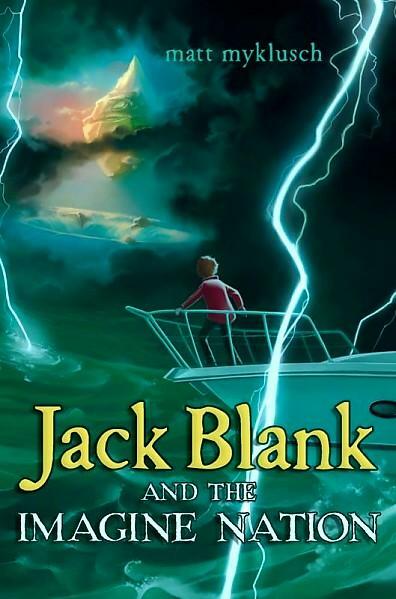 Jack Blank and the Imagine Nation. Orphaned Jack is at the evil St. Barnaby's Home for the Hopeless, Abandoned, Forgotten, and Lost and is being punished by being made to bail out the dank basement when he is attacked by a zombie robot right out of one of the comic books he loves to read. He is then whisked off by Jazen Knight, who claims to be from the Department of Departmental Affaird, and taken to the Imagine Nation, a community of super heroes and others with extraordinary powers. It turns out that the robot was a Rustov, and Jack is infective with a Rustov virus, but for some reason, it's not killing him. Even though he is infected, he is put on the path to study at the prestigious School of Thought and given a series of tests, even while he is trying to degeat the evil Smart, who is trying to get him removed from the Imagine Nation. Jack manages to find out a little about his heritage, learns about his powers, and helps to save the Imagine Nation... for now. Sequels are probably forthcoming. Strengths: Errs just on the right side of goofiness for middle school students, and has lots of fun gadgets. Explosions happen regularly, the villians are deliciously wicked, and the whole story moves along nicely. Weaknesses: Bad cover art. Some serious editing would have made this a more cohesive story. It rambled a bit, and the variety of evil doers was a bit hard to follow at times. This is a hefty 450+ pages, which makes it a little difficult for third graders, who would probably like the story.